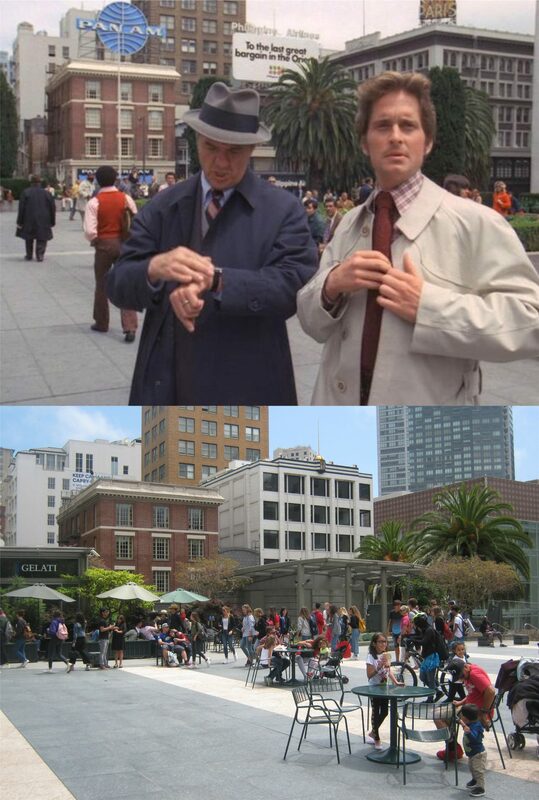 My doctor, the eminent Dr. Donald Knotts, tells me he was among the students walking along the street at George Washington High School when this scene where Lee Remick drops her sister Stefanie Powers off in the 1962 film ‘Experiment in Terror’ (One of my favorite SF movies) was shot. Maybe he knew the girls standing by the car. I’ll have to ask him. Other prominent people who went to this high school, include Johnny Mathis and Danny Glover. The link below that I posted several years ago shows a brief synopsis of the movie along with the soundtrack from the opening credits. In April of 1974, the Symbionese Army, who two months earlier had kidnapped heiress Patty Hearst, robbed the Hibernia Bank at 22nd and Noriega in San Francisco. Bank surveillance film showed Hearst participating in the robbery. All of the Symbionese Liberation Army members involved in the robbery died the following month in a fiery police shootout in Los Angeles except Patty Hearst who was captured in September of 1975. The producers of the 1988 film ‘Patty Hearst’ used the corner of 38th and Balboa in the Richmond District to reenact the incident. The Hibernia Bank, named Hibernia Savings in the movie is the Bank of America branch at this corner. The bank robbers pull up to the location in a station wagon and enter the bank from Balboa Street. The Balboa Theater, in business since February of 1926, can be seen as the gang enters the bank. A view from the opposite angle shows them making their getaway. The actual bank robbed by Patty Hearst and the Symbionese Liberation Army is at this location in the Sunset District. Here’s the surveillance video from the famous robbery.